Yardley, PA Real Estate consists of both Yardley Borough and the Township of Lower Makefield. Both of these communities are located in Lower Bucks County along the scenic Delaware River. 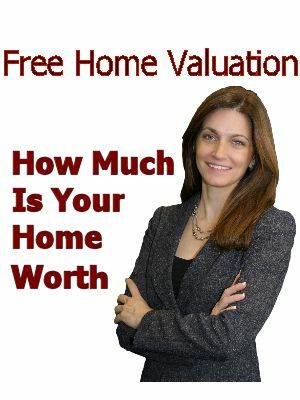 If you are looking to buy or sell Yardley, PA Real Estate, Bucks Area Homes is here for all your Real Estate needs. Kim Tokar runs one of the most successful teams in the Yardley, PA Real Estate market serving the entire Yardley market as well as the surrounding areas. The Kim Tokar Team has dedicated professionals to serve both buyers and sellers in Yardley, PA.
Our Yardley, PA Real Estate For Sale page allows the consumer to search by town, school district, or neighborhood. Our programmers have made it simple for you to search for your future home in all of the homes in Yardley, PA and the entire County of Bucks. Register today and receive the newest listings as they hit the market. Are you only interested in homes for sale in Yardley in a particular neighborhood? At our Yardley, PA Real Estate page we give our clients the ease of searching by the particular area of Yardley by allowing them to set up searches by neighborhood. If you are more interested in a particular school system then a town, our Yardley, PA Real Estate page allows you to search by school district and our system will let you know when a new home hits the market. Please note that Yardley homes will be within the Pennsbury School District. Yardley, PA combines the best that small town living has to offer with the convenience of modern suburban living. Accessible to Philadelphia, Princeton, and New York via road and rail, Yardley's population has remained stable over the years. Until the mid-twentieth century, Yardley, PA Real Estate was still relatively open in agricultural use. While the last two decades have seen the farmland in the surrounding area give way to large residential developments, much of the cor of Yardley, where the historic district is located, has retained its historic integrity.